When creating an ordered list in a word merge, the list automatically continues rather than starting over at 1. The key to forcing the list to start over is with a hidden field. Here is a link for more information. http://word.mvps.org/faqs/numbering/ListRestartByLISTNUM.htm. 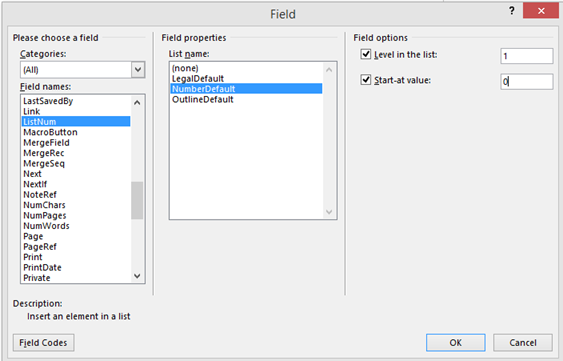 You can insert a field using Insert, Quick Parts, Field, and selecting ListNum as shown below. The field is visable if you have the show hidden characters option on, otherwise it's hidden. This will force the next ordered list to start over.